Nertks has been in close cooperation especially with duvet, bed set and furniture manufacturers to offer them maximum productivity and best sewing quality. Muhammet Saim Erdogan, proprietor of Nerteks mentioned the international supply power of the company and commented about Interzum Cologne fair. Please furnish us with information about establishment, development and corporation model of your company. 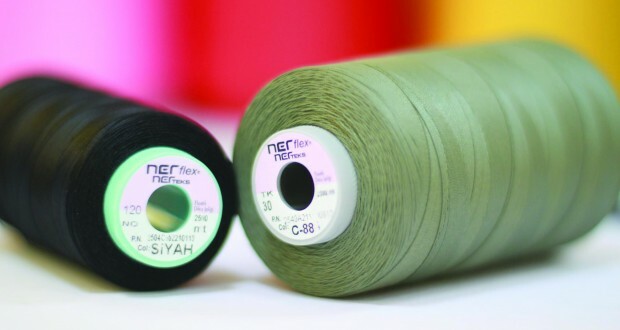 Nerteks is one of the leading industrial thread manufacturers in Istanbul, Turkey. In 1969, Nerteks was established as a family company to provide industrial yarns, threads and textile sub-products. With 18 years experience in production, we develop new products and produce high quality threads in our manufacturing plant which has 12.000 m² closed production area. Our environmental friendly factory is located 40 miles from Istanbul and equipped with the latest technology. I wish to specially mention that we are a costumer-oriented company has strong relationship with costumers based on trust and certainty. To solve problems and add values, we always aim to understand the needs of our customers. Our business relationships and fast moving industry keep us motivated and maintain doing new researches and developments for our production. We push limits to serve the latest and the best quality goods with our investments in innovation. We believe the reason makes us one of the leading thread manufacturers is being aware of that we are responsible to our costumers, our people (employees), our society and the nature. Now, we are proud of announcing that Nerteks Iplik is an international company supplying industrial threads to whole world from Europe to Africa and from Asia to America. What does Nerteks produce for mattress and furniture industries? Nerteks provides an extensive variety of threads used during all sewing operations in mattress, bed and furniture manufacturing. We produce our goods in a wide range of thread types and colors to create solutions for your all production stages such as quilting (top and bottom threads), tape edge, lock-stitch, furniture upholstery and decorative sewing. Our products are specifically enhanced in close collaboration with mattress, bedding and furniture producers to deliver maximum productivity and the best quality of seams in the finished product. 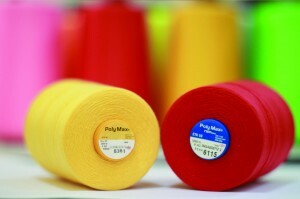 How do you develop the yarns used in the mattress and furniture production? Choosing the correct thread for high speed machine is important to achieve maximum performance in production. To meet specific demands about targeting most efficient production and delivering maximum performance by machines, our superior quality products are engineered in collaboration with leading manufacturers in industry. Nerteks, with a professional team, offers an extensive variety of threads depends on your machine needs. We find solutions for the problems encountered in bed, quilting and furniture manufacturing. What are your comments on Interzum Cologne fair? As a regular visitor of Interzum trade fairs, we know that Interzum is the world’s leading ‘one-stop’ trading platform for furniture production and interior design. This year we joined Interzum Guangzhou and had a successful exhibition. It is so pleasing to meet and have a conversation with opinion leaders and decision makers from all over the world. We are glad of having a chance to present our products enhanced for furniture and mattress manufacturing industry and also to follow the latest technologies, developments in global market. We are proud to announce that we are an exhibitor in Interzum Cologne, too. We are so excite about meeting all people at booth F013 in hall 10.1.